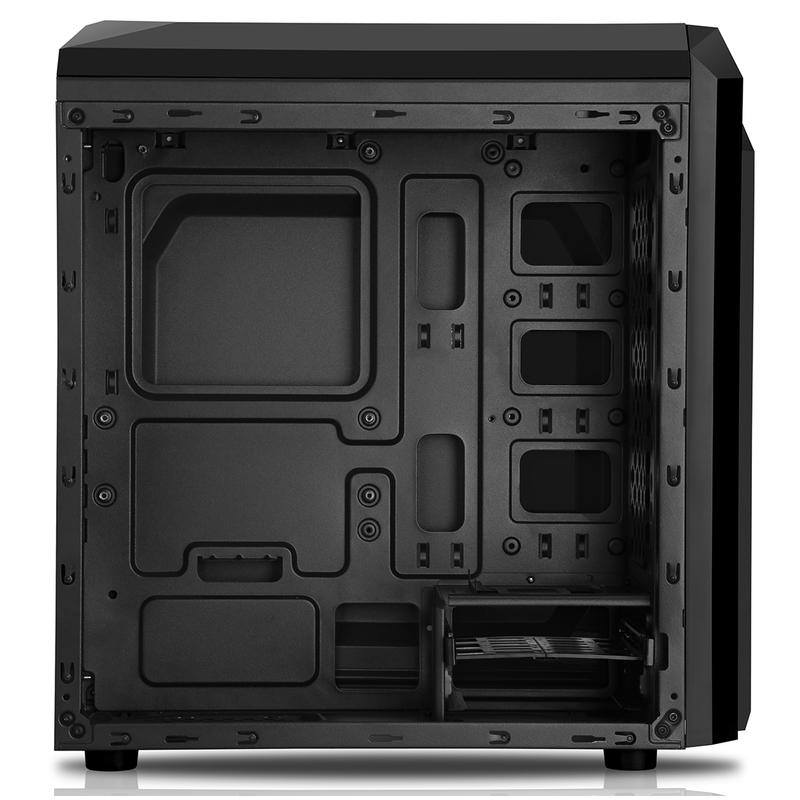 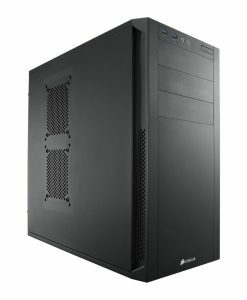 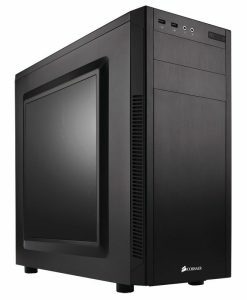 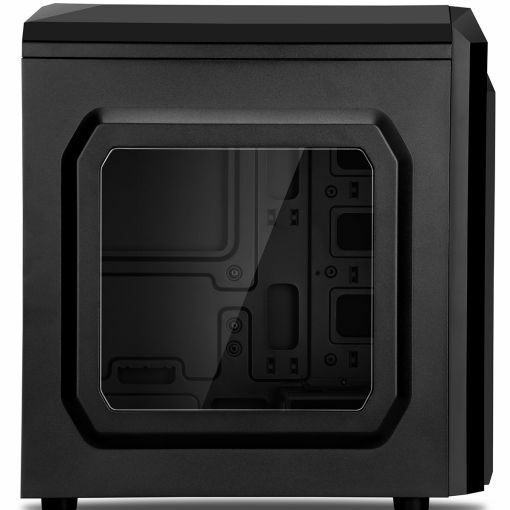 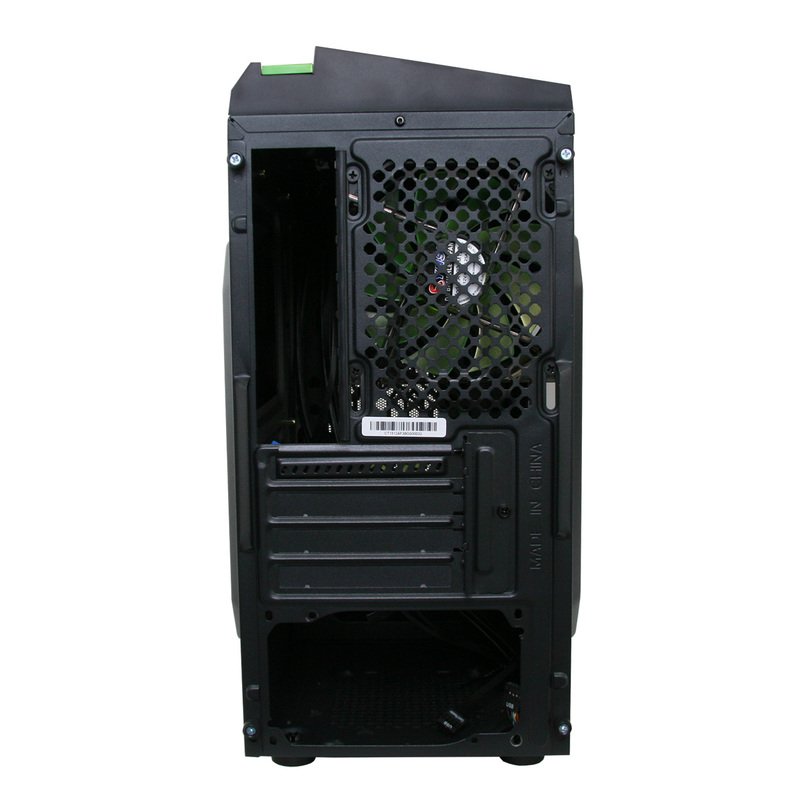 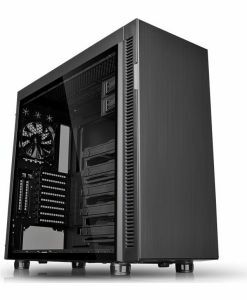 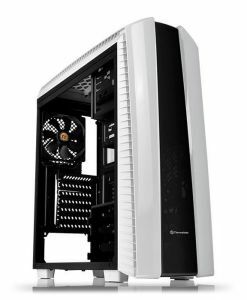 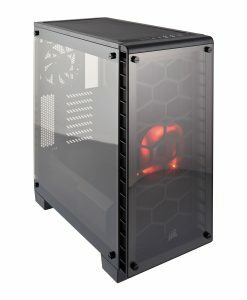 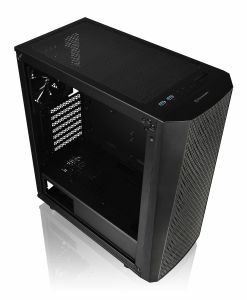 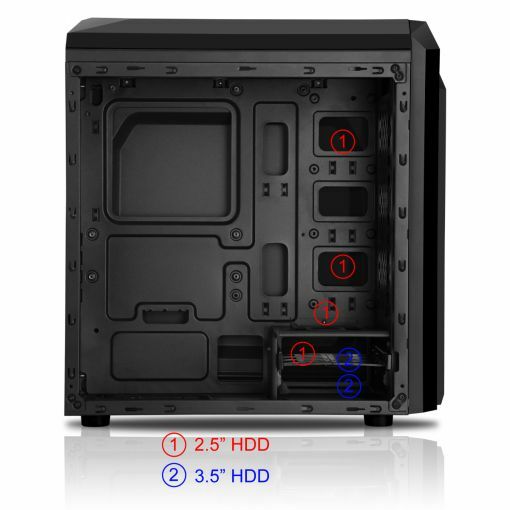 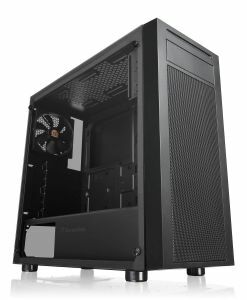 Micro-ATX tower Case, with plastic top cover. 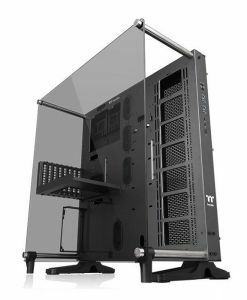 The Front panel and top panel incorporates mesh steel for increased airflow. 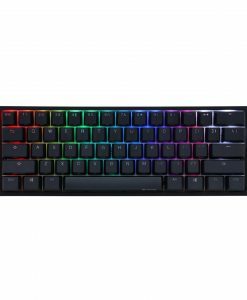 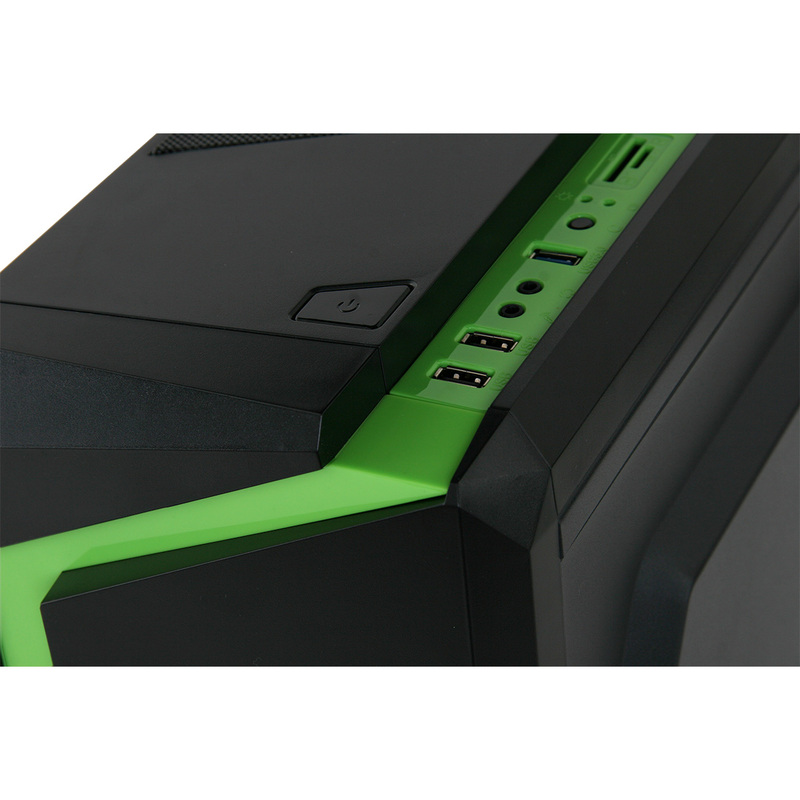 Complete with 1 x USB 3.0, 2 x USB 2.0, HD Audio and Card reader, all conveniently position at the top of the case, to allow easier access for the user. 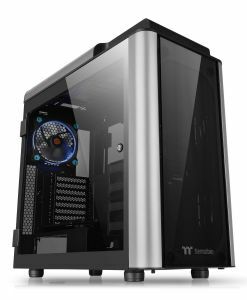 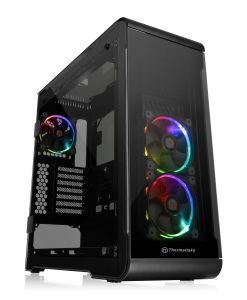 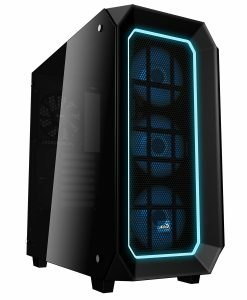 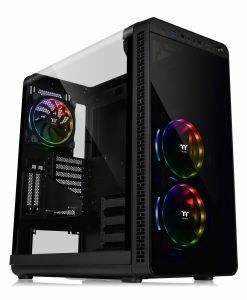 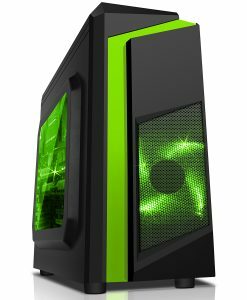 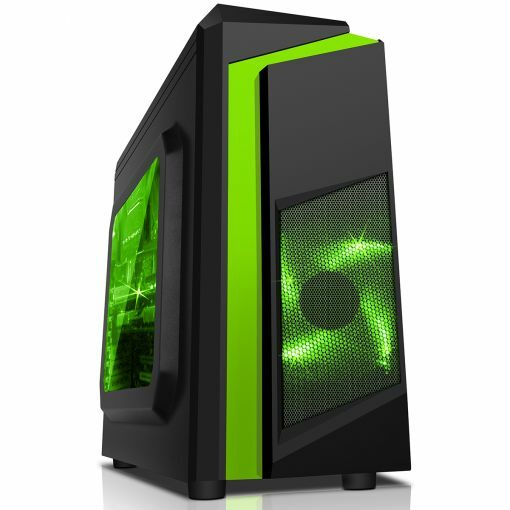 The stylised window, along with the LED fans and internal cable management, allow the user to create a unique and tidy look to their PC. 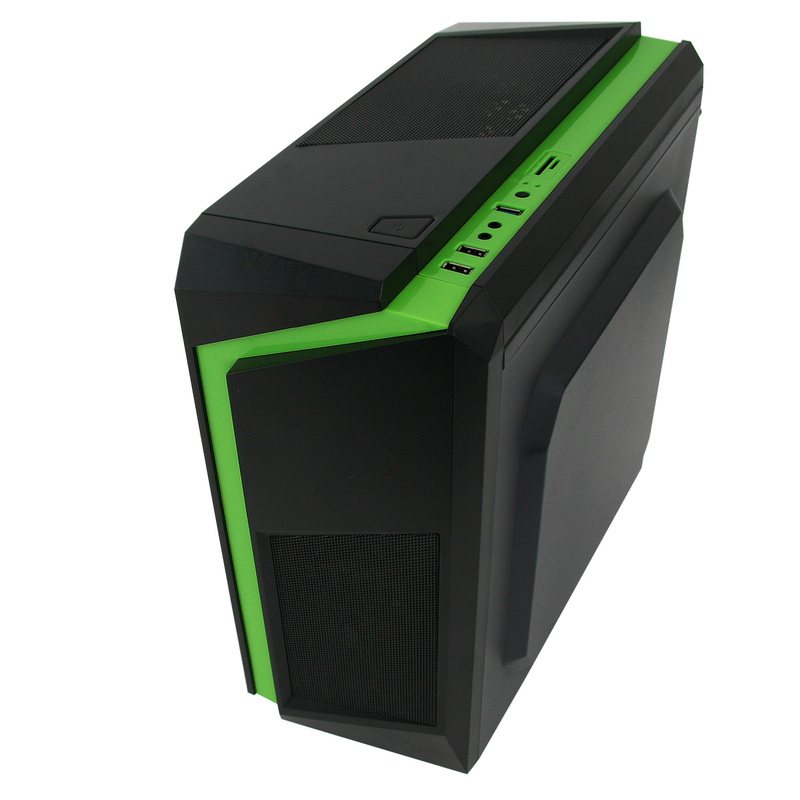 With its outstanding design of black with green accents along with rolled edges for safety.